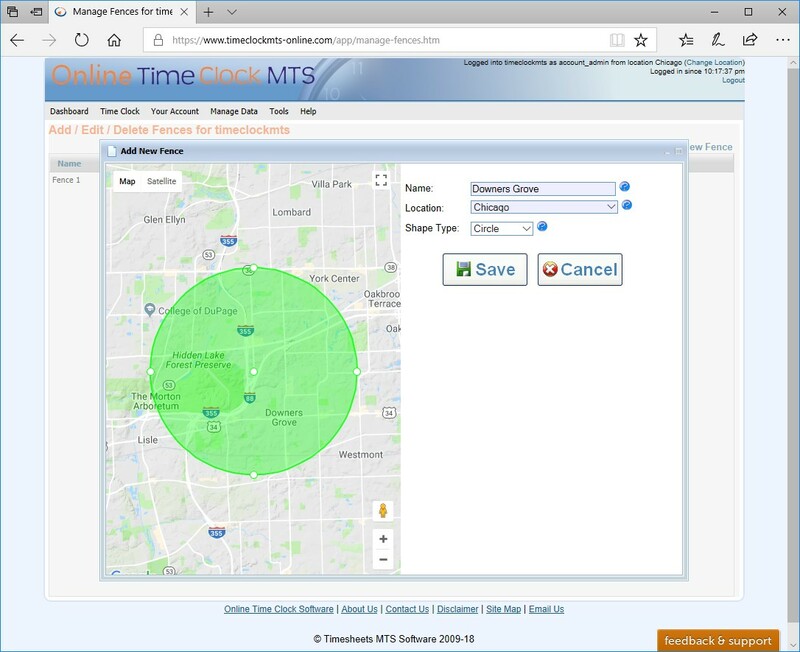 Online Time Clock MTS can be used free of charge for 30 days. Signing up for a trial account takes just a few seconds! Knowing where employees are when they use your timeclock is of vital importance. Obviously you only want them clocking in or out of work when they are actually AT work, not when they are at home or on the road. 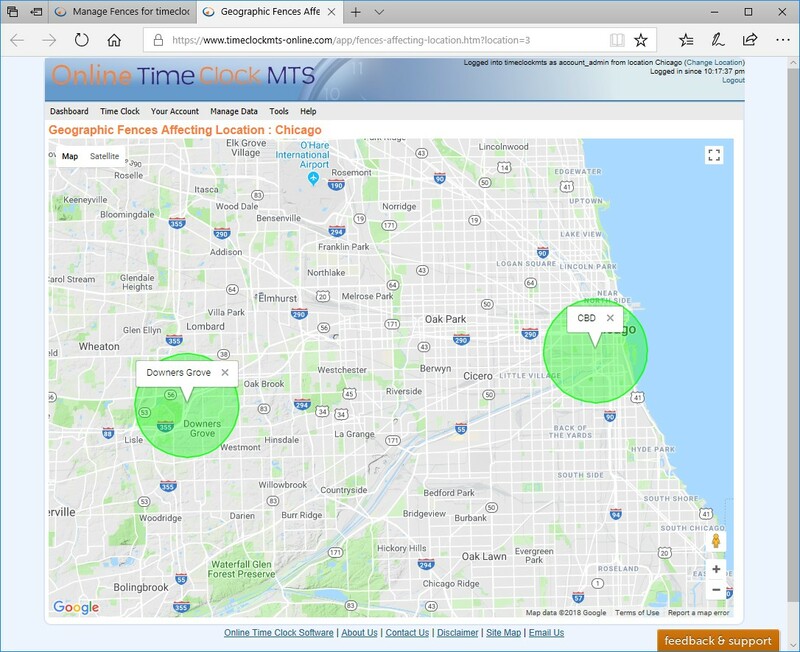 Online Time Clock MTS can show you exactly where employees were then they punched in or out, and you even have the option to define exactly where employees can be when they sign on or off for work. We call this GeoFences, but it's simply a matter of you drawing shapes on a map and assigning fences to your time clock logins. 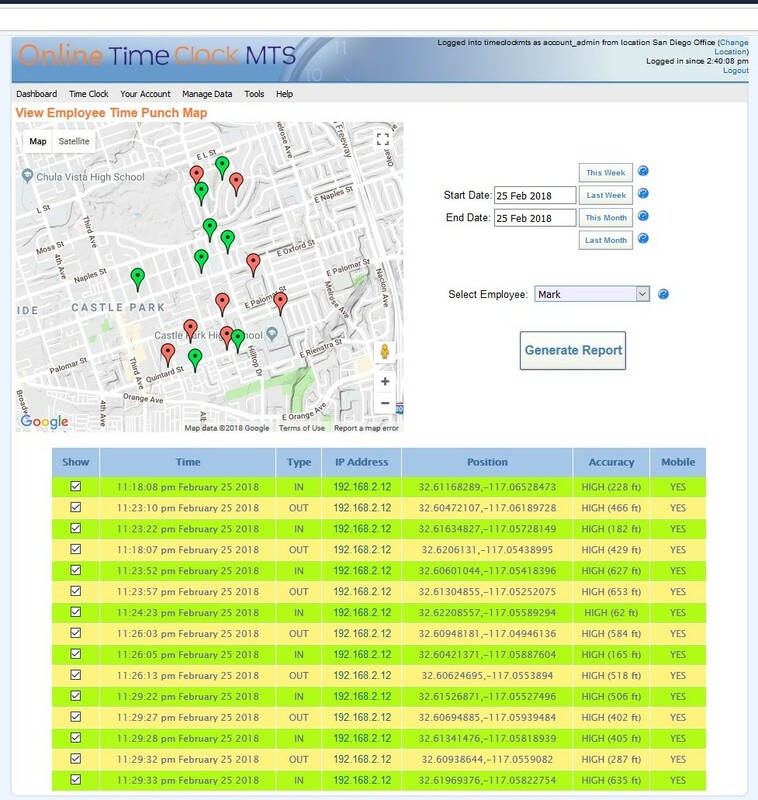 You can see what some of the GeoLocation oriented screens in Online Time Clock MTS look like below. 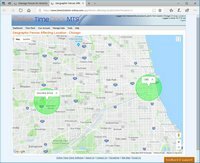 Record the GPS location of devices when employees clock in or out and view the location of time punches on a map. 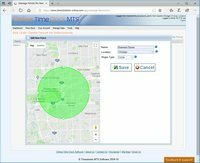 Create GeoFences by drawing shapes on a map and only allow employees to punch in or out when they are inside a GeoFence. Easily see what GeoFences are affecting a location using the Fence Map screen.